Postgraduate Diploma in Business is a Level 8 qualification consisting of eight papers taught over one year. The teaching materials have been designed by Southern Cross University and successful completion will result in an NZQA-approved award of the Postgraduate Diploma in Business from ICL Graduate Business School. The programme is taught over three 16-week trimesters: a total of 12 months. In the first two trimesters students take three papers and in the third trimester two, allowing for a repeat if necessary. Postgraduate Diploma in Business graduates will find opportunities for employment in positions of responsibility such as Project Manager, Marketing Manager, Operations Manager and a wide variety of related roles in business. Skills and knowledge gained through this programme prepare graduates to be effective entry-level managers with the ability to think critically, manage information and solve problems in contemporary workplaces. These skills are transferable across many industries both nationally and internationally. On successful completion of this qualification from 26 November 2018, graduates may be eligible for a three-year open post-study work visa. Applicants must have a Bachelor Degree or Graduate Diploma in a business-related field. 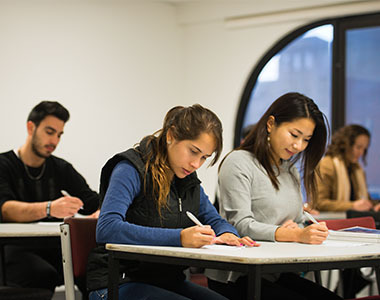 International students must also present IELTS with a minimum score of 6.5 overall, with no band less than 6.0, or an equivalent recognized by NZQA. © Copyright 2019 . ICL Education Group. Powered by WordPress.